Are you ready to cultivate & build an impactful, fulfilling, & sustainable creative life & business? More impact. More clarity. More dream clients. More stability. More freedom. More fulfilment. More joy. SO WHO AM I? AND WHAT DO I DO? I'm Jen, a creative coach, and I help big-hearted creatives make things happen in their creative life and business on their own terms, in their own way, and by their own rules. My job is to help you move forward and make space for what matters most in your work and your life. I do this by helping you to tap into your best ideas, create content that resonates and connects, overcome the fears and mindsets that have been holding you back so far, and build a creative livelihood that is impactful, fulfilling, and sustainable every step of the way. 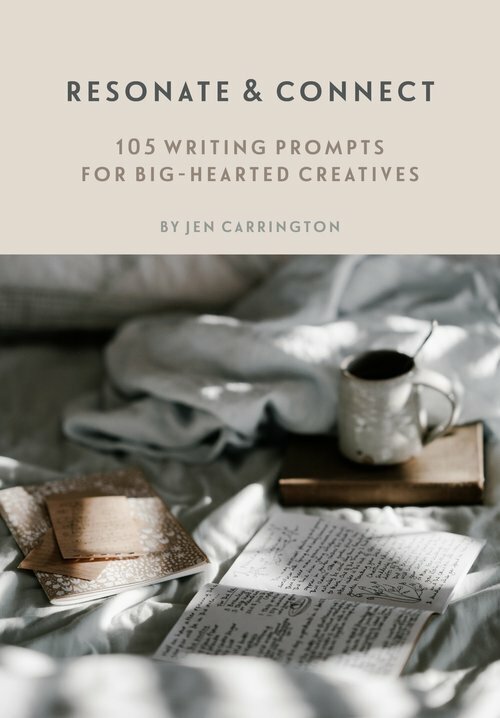 I write mini books for big-hearted creatives who want to build impactful, fulfilling, and sustainable creative businesses and lives, and these are created exclusively for my Weekly Letters community. You can find out more this way and sign up below. I share articles each week about the creative life, running a big-hearted business, and creating content that resonates, connects, and stands out online. I host Make It Happen, a podcast for sharing stories, insights, and conversations to encourage and empower you to make things happen in your creative life and business. Every Sunday I send Weekly Letters to my community via email where I share personal insights, words of motivation, and lessons I'm learning along the way in my creative journey.